Home alone. 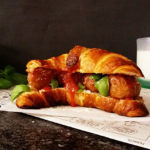 My son is away for the weekend and I decided to make this Simple Turkey Meatball Croissant Sandwich to have an easy and quick brunch on Saturday. The weather is beautiful. Autumn has come with all it’s beauty and bounty. I have opened all the windows and balcony doors so the breeze could enter freely and decided to skip bicycle ride but stayed at home and started to read, instead. For a whole day. It turned into whole weekend of reading. Priceless. „The Ministry of Utmost Happiness „ is the book that has occupied my attention. If you enjoy reading, you understand. If not into books, you understand how healthy it is to take a break before holidays’ rush starts. As about the lunch, one croissant sandwich was just enough for me to have but I have made two at once so no extra time needed for dinner except warming it up. Pour sunflower oil in a skillet and fry 8 meatballs to be golden all over. In a small pot, warm tomato puree. You can do it in microwave also. 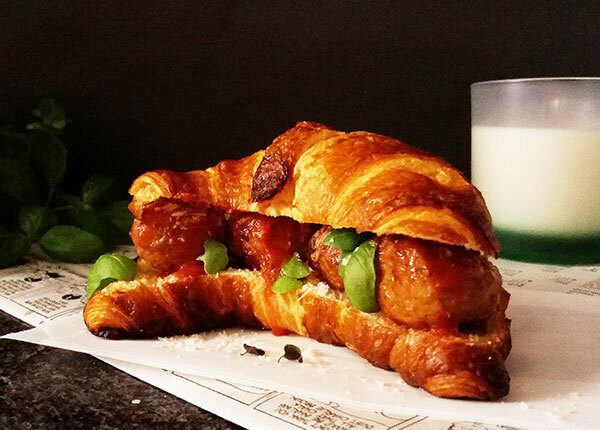 Slice croissants in half and fill with 4 meatballs. Garnish with tomato puree, Parmesan, oregano and basil leaves and serve while still warm. 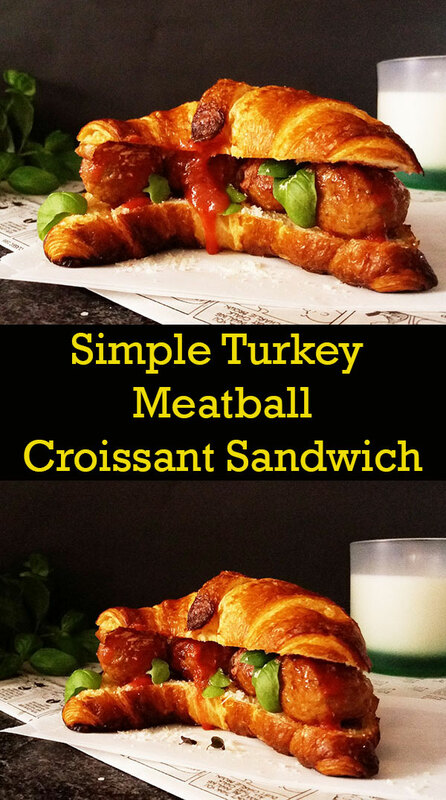 32 Responses to "Simple Turkey Meatball Croissant Sandwich"
wow that’s a sandwich for the King! Looks phenomenal! Oh yes it is 🙂 Thank you Angie ! That looks lovely! The idea of a whole weekend to read is my concept of heaven. I think I’m going to try and arrange a weekend off for reading sometime before the holidays! Oh yes ! Happy to find another ” book friend ” ! It is so rejuvenating before everything becomes so busy ! Enjoy the day and thank you ! Nice! Easy and flavorful, a perfect way to treat yourself on the weekend. Oh yes, as RMW says : Heaven indeed ! Thank you very much Deb ! 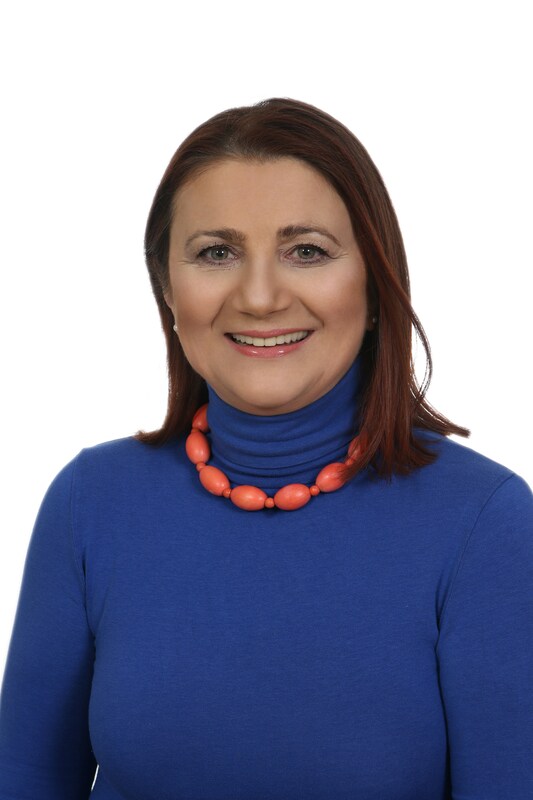 I love that you take such good care of yourself when your son is away! It is a lesson for us all. And the sandwich looks wonderful! 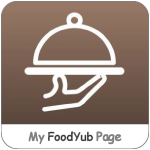 So simple and feeds you while you take a break of everything ! Thank you dear ! Simple but delicious! 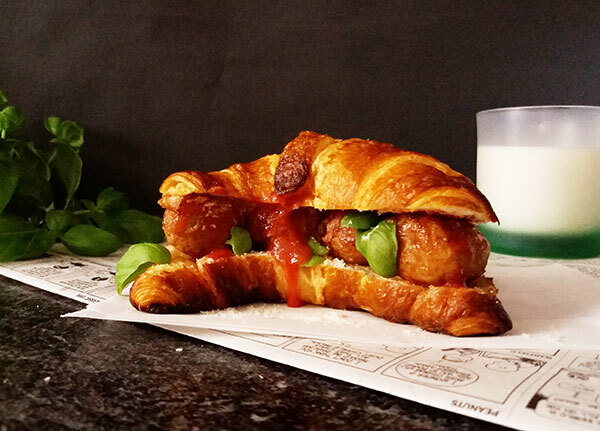 A buttery croissant would make for a lovely sandwich, and you can never go wrong with meatballs! Oh yes ! I’m sure you would enjoy it too 🙂 Thank you dear Katherine ! A fine sandwich idea for a cozy autumn reading day. The Ministry of Utmost Happiness sounds like a great read. My lovely wife loves such books, so you’ve given me a grand idea for a Christmas gift. Looks delicious! Must be so yummy on the croissant! A weekend reading sounds so relaxing and wonderful – I’ll have to try it! It matches perfectly well, oh yes ! Thank you Heather ! A lovely lunch (and dinner!) for sure! Loveliest of all, though, is a day of reading. I love that so much! It doesn’t happen often, but, like you, I grab it when I can! It’s been my favorite activity my entire life! – well, along with cooking and eating. Ha! Wow, this is another thing we have in common ! Beautiful ! Thank you Laura ! You really know how to spoil yourself. 🙂 Your sandwich is awesome and two of them would take care of the whole weekend for sure. I’m with you in that I love just spending some uninterrupted time reading. We just got back from 5 days of traveling and one day there was an unexpected snow storm, so we tucked ourselves inside, built a fire and spent the day reading. Wish we had had these sandwiches. It would have been a perfect day. Thanks for the book recommendation. I’ve already added it my wish list. Dear MJ ! Sooo glad you added this one to your list; I am sure you will not be sorry. 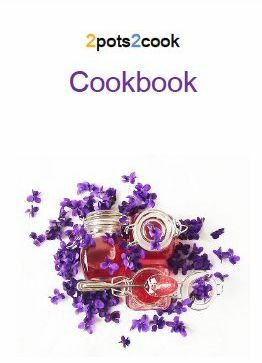 Besides, after I have read the one you recommended, it seems we too have something else in common except cooking 🙂 Thank you so much ! Yummy! This looks so amazing! I love croissants! I’ve heard some wonderful reviews about the book you are reading (“The Ministry of Utmost Happiness”)..how do you like it?? Simple amazing! Loving all the flavor combinations here. 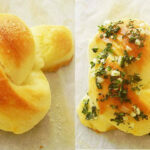 Can’t wait to try croissant sandwich your way! agree: simple and amazing ! Thank you Neha ! it’s looking so nice. is that possible to do in 15 minutes? Hello; of course it is: while meatballs are cooking, you cut croissants and add the rest the ingredients from the fridge and lunch is ready 🙂 Enjoy ! 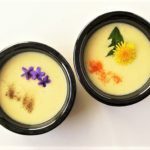 Your recipe is fabulous. I love croissants…but I never try with meatballs. Hello ! 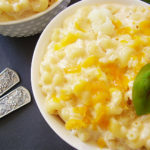 Once you make it, I am sure you will love it !Thank you for commenting !